Motor Avenue Improvement Association is in partnership with Faith2Green. 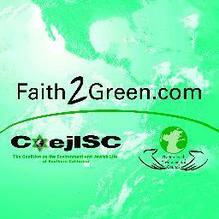 Faith2Green, the organization formerly The Coalition on the Environment and Jewish Life of Southern California (COEJLSC), in partnership with The Interfaith Environmental Council was established as a 501(c)3 organization in 2004. They are constantly looking for new innovative ways to fulfill our goal of instilling a commitment to work toward environmental protection rooted in our shared moral values. We strive to fulfill our goal through education and engaging our community. We have many successful accomplishments, and many more exciting plans for the future. Our fundamental desire is to instill a sense of environmental stewardship in present and future generations. Goal: To instill a commitment to work toward environmental protection rooted in our shared moral values. Further, in helping to improve the community we support sound environmental efforts by actively participating in the formation of public policy. Core Values in their purpose of instilling a commitment to environmental protection rooted in their shared moral values, is derived from our core values. These values are based on concepts in religious tradition which mandate humankind protects, serves, and cares for all creation. As noted in Midrash Ecclesiates Rabbah 7:13: "Do not corrupt or destroy my world; for if you do, there will be no one to repair it after you." 1. To work with major religious institutions in order to facilitate measurable and identifiable progress towards environmental stewardship and encourage a commitment towards environmental protection. 2. To provide major events yearly whereby people who are interested in or share our values meet, share a sense of commitment, and re-establish their connection to each other and to the Faith2Green mission. 3. To have a positive impact on local, regional, and statewide environmental legislation with national and, if possible, international importance.